David Rosenberg joined Short Strategy Group as an Associate in October 2017. 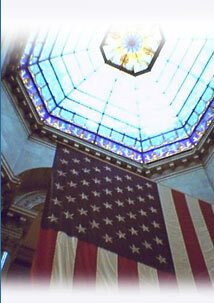 He represents and advocates on behalf of clients in the education, transportation, healthcare and tourism industries. He also advises clients who are seeking procurement contracts with state and local government entities. David began his career as the Deputy Chief of Staff and Director of Enterprise Development for Indianapolis Mayor Greg Ballard. He represented the Mayor’s Office and city agencies during the 2013 to 2015 sessions of the State General Assembly. He also acted as the liaison to the City-County Council, managed the consolidation of the Marion County Justice Complex, and introduced innovative municipal transportation to the city to attract new businesses. Prior to joining Short Strategy Group, David served as the Operations Officer for Indianapolis Public Schools. In that role, he oversaw internal lobbying and government relations on behalf of the district. He managed and directed several departments including the Legal and Risk Management Office, the Office of Information Technology, and the Transportation Department. David is recognized for his leadership in the Indianapolis community. He has been a participant of the Indiana Leadership Forum. 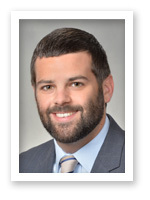 He was selected as a member of the Indianapolis Business Journal’s “Forty Under 40” Class of 2015. In 2016, he was a delegation invitee to the Indianapolis Chamber’s Leadership Exchange and a member of Leadership Indianapolis’ LEAD Program. He has also volunteered with local nonprofit organizations including Real Men Read and Big Brothers Big Sisters of Central Indiana. He and his wife, Ali, were married in June 2017.